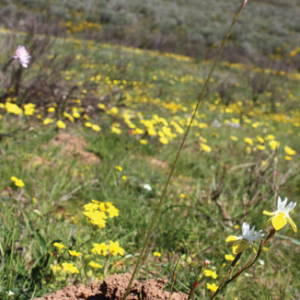 Here, we would like to celebrate some of the first champions for Renosterveld Conservation in the Overberg Rûens. In sharing their stories, we hope to inspire more farmers to consider doing the same. The following individuals are all large-scale commercial farmers in the Overberg Rûens who have taken a stand for Renosterveld. Many of these farmers also have guesthouses and we encourage you to visit and see their conservation areas. Joshua farms at Kykoedie, along the Sout River, in the middle of the Central Rûens Shale Renosterveld, which is one of the parts of the Overberg with the least Renosterveld remaining. Joshua first contacted the ORCT when he learned about the work we are doing as he wanted to share his veld with us and learn more about what he could do to look after it. 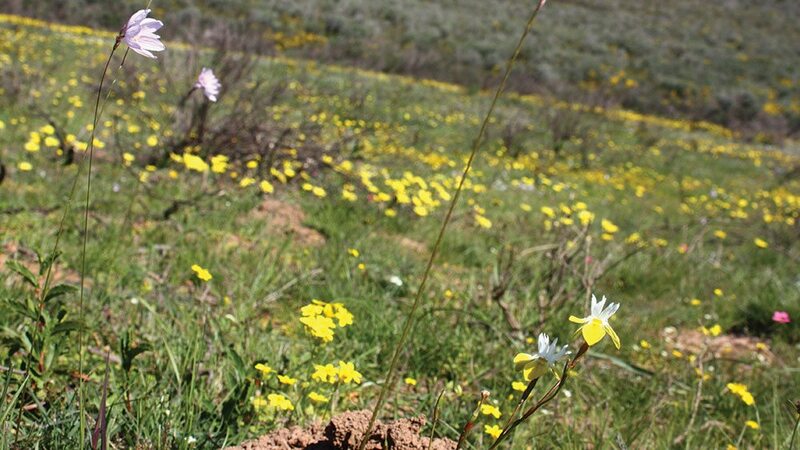 We discovered the Endangered bulb, Gladiolus vandermerwei, on this special veld and Joshua has since committed 200 ha of Renosterveld to conservation, through a Conservation Easement with the ORCT and FFI (Fauna and Flora International, UK) and is in fact the ORCT’s pilot easement. Keith is a dairy-farmer on his impressive 6th-generation family farm, Grootvadersbosch, in the foothills of the Langeberg in the Suurbraak area. Keith has grown up with a passion for the natural environment and has committed all the Fynbos, Forest and Renosterveld on this property to conservation through Stewardship. Keith and his wife Michelle run a guesthouse on this farm, which neighbours with Grootvadersbosch Nature Reserve and forms part of the Grootvadersbosch Conservancy. 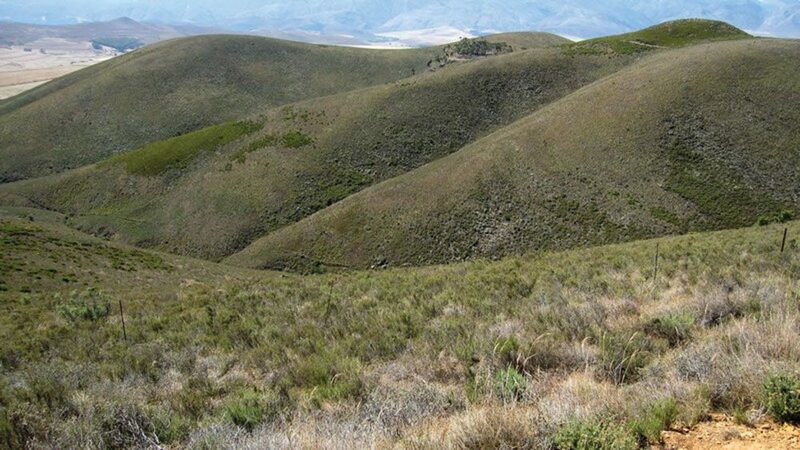 Thys farms in one of the driest parts of the Overberg, on the farm Malanskraal in the Eastern Rûens, where he also conserves a group of small remnants with some of the highest diversity of endemic plants in the region. These remnants also contain unique quartz patches with a suite of rare and threatened plants found only on these quartz islands; Thys knows these intimately and by name. Dirk farms just off the N2, near Heidelberg on a farm called Voorstekop. 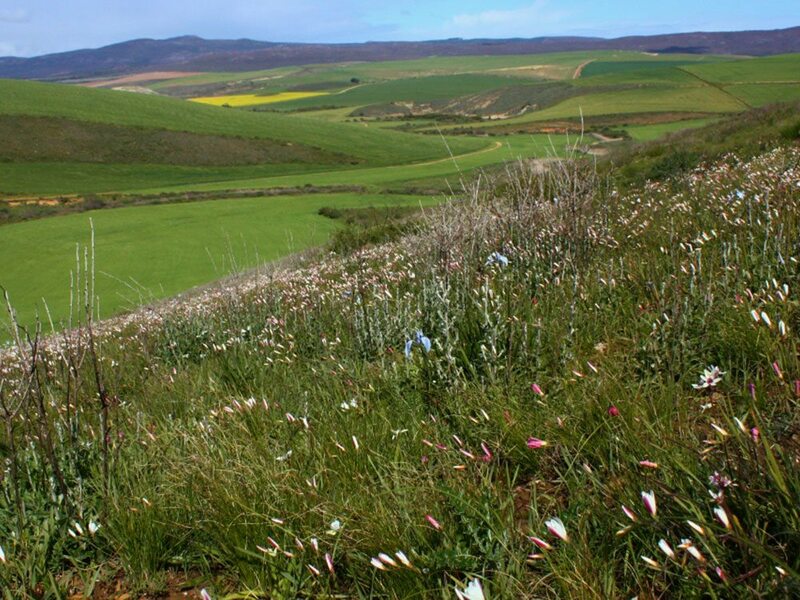 In 2008, Dirk committed all the Renosterveld on his farm (>400 ha) to conservation, through a Stewardship Contract with CapeNature. Dirk feels strongly that farming today needs to take all aspects of the farm into consideration and that managing for biodiversity is as important as managing for successful crops and commercial gain. He is currently the Chairperson of the Board of Trustees of the ORCT and has been since its inception. Neels farms on Skeiding, near Heidelberg, where he and his wife Annelize also run an agri-tourism based guesthouse. Neels applies a real sense of passion to everything he does, which includes protecting the lowland remnants on his farm. Neels has also committed all of his veld to conservation through Stewardship. These two brothers farm back-to-back in the Caledon district, on the farms Ertjiesdam and Herwin, where they have committed to conserving hundreds of hectares of Lowland Renosterveld and Fynbos through Stewardship. 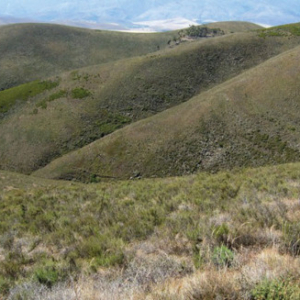 These brothers farm in the Bredasdorp district at Rooivlei, which includes a large stretch of Eastern Rûens Shale Renosterveld and contains, amongst many special plants, a population of Polhillia canescens – for which there are fewer than a handful of known locations. They have also signed up with CapeNature’s Stewardship Programme. MG was inspired by his father’s passion for wildlife conservation and has committed hundreds of hectares of Renosterveld to conservation through a Conservation Easement with the ORCT on his farms De Vlei and Klipfontein in the Caledon area. 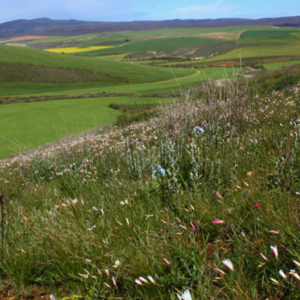 These farms are essentially part of the largest area of Western Rûens Shale Renosterveld remaining on Earth, thus MG is also working with the ORCT to develop a conservation landscape initiative, whereby several adjoining landowners commit their Renosterveld into some form of long-term conservation agreement. These farms are home to several threatened species, including Moraea comptonii, a strikingly beautiful Iris. To join or to find out more please contact Odette on +27 (0) 83 551 3341 or by email at info@overbergrenosterveld.org.za.